Product prices and availability are accurate as of 2019-04-24 17:37:10 UTC and are subject to change. Any price and availability information displayed on http://www.amazon.com/ at the time of purchase will apply to the purchase of this product. The Lazy Dog Cookie Co. believes every dog should enjoy a delicious slice of homemade pie, now here is there chance! Our entire line are free of wheat and corn. 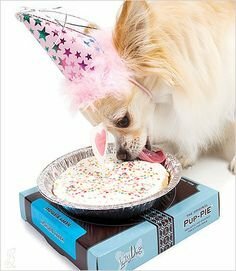 Each 10 slice Pup-Pie is topped with real freeze dried fruits, nuts and veggies.